Decorate computer screen with 3D animated dollars and euro. 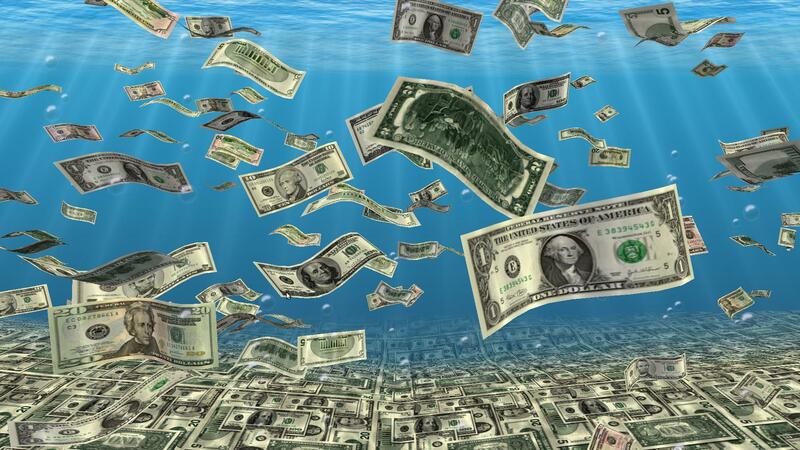 The money screen saver includes swimming, flying, falling money backgrounds. The free download is available for Windows 7, Vista, XP. 100 Happy Money Screen Saver fills Windows desktop with million falling dollar, flying euro, raining pound and swimming franc. Download and try one of the best 3D money screen savers for free. 100 Happy Money screen saver brings tons of free falling money on your computer desktop background. 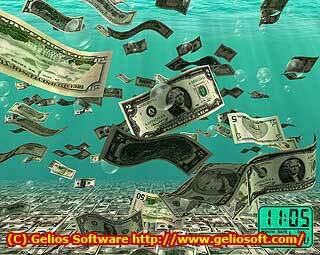 Get free money updates for minor versions of 3D screen saver software. Get unbelievable happy prosperity impressions of big money. Bring one step closer to your happy business with money flying on computer screen. Relax with one of the best underwater money backgrounds and soothing sounds. Make your currency screen saver, free selecting banknotes of different countries. Keep track of time with digital clock and calendar. Fill with free 3D currency entire widescreen, standard and dual screen desktop. Use it as moving money desktop backgroundfor Windows 7, Vista and XP themes. You can try the free demo of money screen saver before you want to buy it. When you buy, full version can be downloaded immediately. A small file size makes the it an easy download to your computer desktop. Our ecommerce providers ensures that you get your full version as soon as possible, making purchase based on your own familiar currency and payment method. The free money upgrades are available for minor changes of software.